With all of the numerous activities the average person is involved in on a daily basis, the body can undergo a lot of pressure. However, when physical fatigue and stress become too much for the body to handle, a person can experience pain in the neck, back and shoulder areas. However, one of the most common complaints from patients is shoulder pain. Stiff shoulders result in limited movement, and sufferers seek chiropractic treatment in the form of shoulder pain adjustment to get much needed relief. Because of the shoulders’ range of motion, they are susceptible to injury. Each shoulder has four rotator muscles. These cuff muscles work very hard to ensure that the shoulders can move in the direction you need them to. When one of the rotator cuff muscles becomes injured, the affected shoulder will not have a normal range of movement. 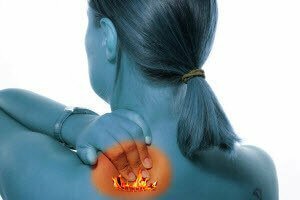 This can become extremely painful not only in the shoulder area, but the entire arm will be painful to move. The adjustment will be geared toward the type of pain you are having and the cause of the pain. This is why a chiropractor will evaluate and assess your symptoms and perform a series of tests. The results will help determine the type of treatment that is best for you. If the chiropractic decides that the shoulder pain can be treated with an adjustment or other therapies, he or she will create a personalized treatment plan. The chiropractor will not only focus on the adjustment, but will also focus on lifestyle changes that you can make that will help to improve your condition. The adjustment will help to realign the spine because a limitation in the shoulder joint signals a spinal misalignment. Because the neck and shoulders are connected, a chiropractor treats the pain with a spinal adjustment. Doctors also prescribe massage therapy and exercise after the adjustments. Your recovery through a shoulder pain adjustment will depend on your response to the treatment. A qualified chiropractor will help to restore mobility and eliminate the pain you feel. Are you looking for a board certified chiropractor in the Atlanta area? Do you need a natural solution for your pain? If so, contact Dr. Renee White of Champion Chiropractic for more information or to make an appointment today.